Ground water monitoring has become a purpose important aspect of Geotechnical and Environmental Investigations. For this purpose HMA Geotechnical produce and market a large range of equipment for monitoring, constructing and protecting monitoring wells. 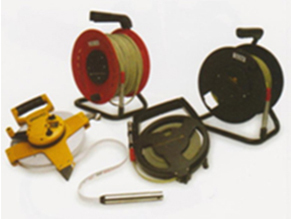 Data loggers are also available for use in monitoring water levels either above ground or in-hole systems. The most common requests for monitoring water levels is either the water level indication or the water whistle.